All Season, on highway performance at an economical price. 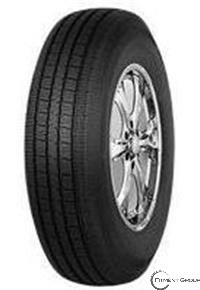 Five-rid tread design for outstanding ride quality and even wear. Solid center rib for excellent steering response. Slotted shoulder design for enhanced traction performance and more even tread wear.